You’ll notice this site looks similar to the one for younger students. There are *s to show you what needs printing. However, there are some differences. One difference is that you may not see recommendations for printing things out for a portfolio. I recommend holding onto all of their written work at this point. Another difference is that there are no levels. There is no grade 9. There is a recommended progression for math, English, etc., but you don’t have to follow it, and you probably will not take all of the classes on here. You will pick and choose your courses. To do so, you need to know your state’s requirements and your goals. Choose what’s best for you and your family. This isn’t a competition. We’re not all aiming at the same finish line! At the top of each course page you will find a course description. You will also find a label of how many credits it is worth. A 1 credit course means it is a full 180 day course. A .5 credit course is a 90-day course. If there is no recommendation for grade level, it’s meant for anyone in grades 9-12. Just because a course is recommended for 9th does not mean an older student cannot take it. A course recommended for 9th just means I consider it easier than one recommended for 11th or 12th. You can use that as a guideline as you decide on courses. If there is no prerequisite listed, then there is no prerequisite for that course. Stop by the printables page and print out some checklists to keep track of what day you are on. EP is not a school. We do not issue grades, transcripts or diplomas. 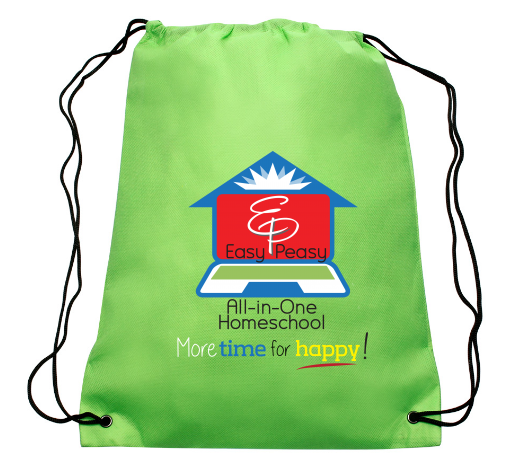 Learn more about homeschooling high school. If you make a scope and sequence for a course, you could send it to me to share with everyone on the Printables page.